The laboratory autoclaves developed by Systec, the leading autoclave manufacturer, have been specially developed for sterilisation tasks in the laboratory, in order to make the procedures simpler, safer, more precise and economical, along with reproducible and validatable. Its practical concept, state-of-the-art technology, convenient operation and exemplary safety are the result of 24 years of experience, intensive research and constant further development. 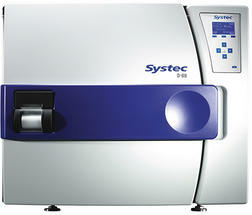 Systec autoclaves can be used for all laboratory applications, even for demanding sterilisation processes: sterilising liquids (e.g. nutrient media, culture media), solids (e.g. instruments, pipettes, glassware), waste (disposal sterilisation of liquid waste in bottles or solid waste in disposal bags) as well as biological hazardous substances in safety laboratories. All Systec autoclaves can be upgraded on a modular basis with options and equipment for optimising validatable sterilisation procedures. Optionally, only the options needed to optimise the respective sterilisation procedures can be added as an upgrade. 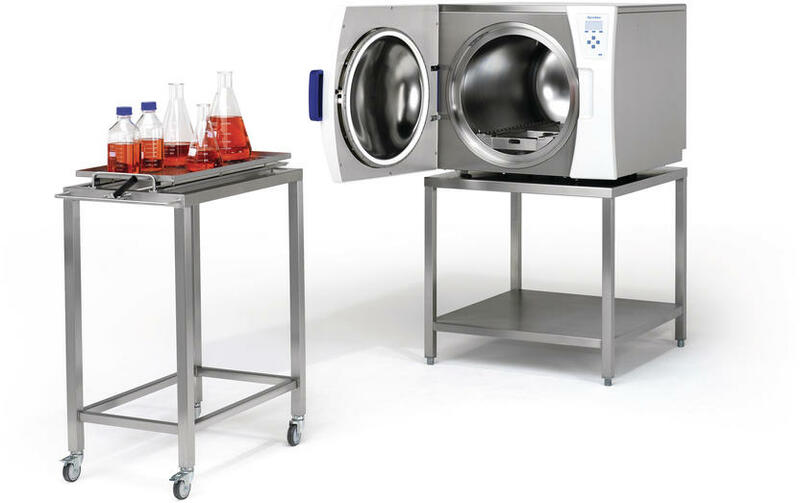 The front-loading D-series 7 horizontal table autoclaves with 45 to 200-litre chamber sizes provide optimum loading capacity for most standard fluid bottles and Erlenmeyer flasks. Taking into account the various sterilisation requirements in the laboratory, we offer 3 performance categories: the DX series models are suitable for all laboratory applications - even the most demanding of procedures with all the (upgradeable) optimisation options for performing validatable sterilisation procedures. 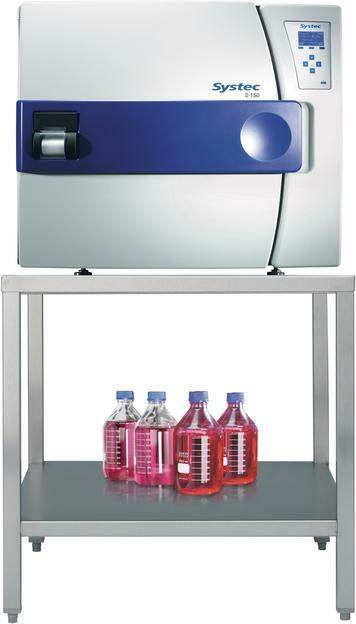 The DE series is designed for basic laboratory applications with limited optimisation options, while the DB series units are designed for simple applications with no options. 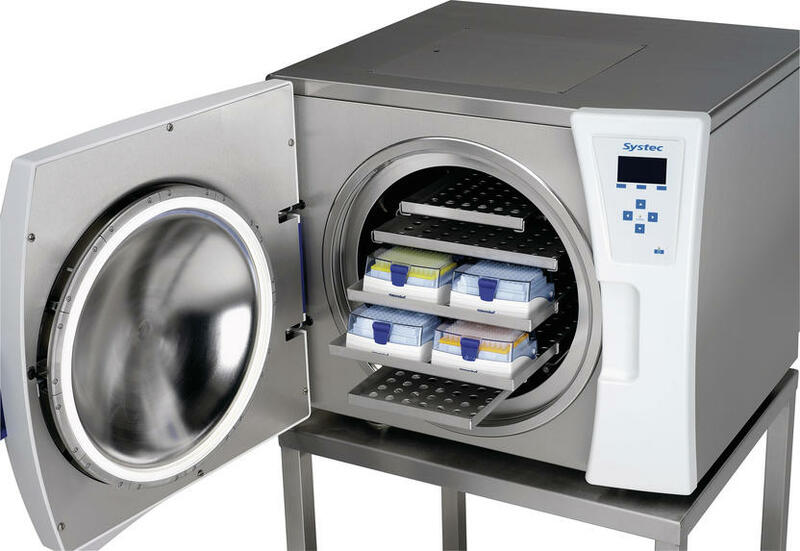 The microprocessor-controlled Systec laboratory autoclaves operate fully automatically, meaning up to 25 programs can be accessed for a wide variety of sterilisation tasks. The sterilisation temperature can be up to 140° C, the vapour pressure up to 4 bar (optionally 150° C/5 bar). 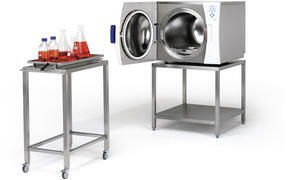 And three unique features of these future-proof Systec laboratory autoclaves are especially appreciated by our customers: the radial ventilator, the Ultracooler heat exchanger and the Superdry drying system. The radial ventilator, in conjunction with optional water cooling with support pressure via air circulation, ensures accelerated heat transfer from the sterilised material to the cooled chamber jacket. This reduces the re-cooling time by up to 70%. The Ultracooler heat exchanger, in conjunction with water cooling with support pressure and the radial ventilator, reduces the re-cooling time by up to 90% and thus the total batch time even further. Depending on the load, cooling times between 15 and 60 minutes can be achieved. The Superdry drying unit increases the efficiency of drying solids and porous sterilisation items such as filters and textiles by supplying thermal energy to the external sterilisation chamber heater for drying via the standard steam generator. 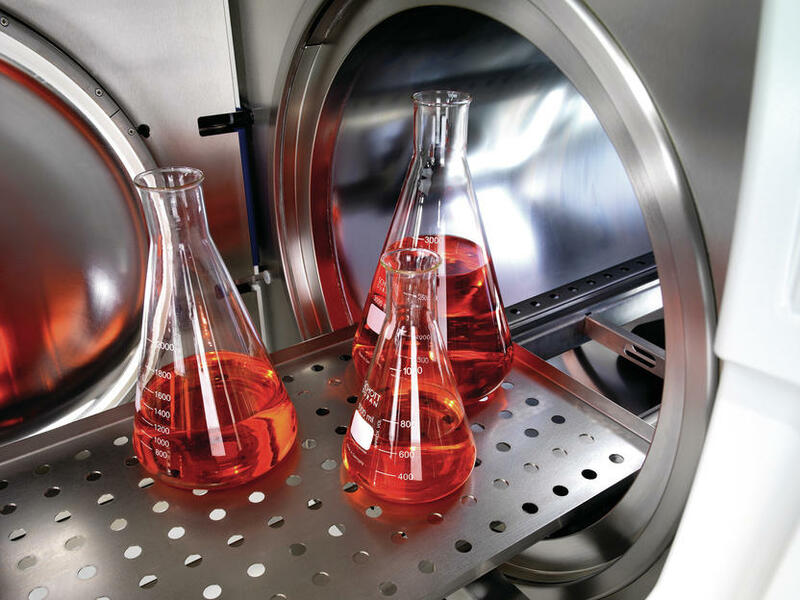 The vacuum deep drying unit with the optional vacuum device in conjunction with Superdry makes subsequent drying in a separate drying cabinet superfluous! Contact us – we will help you to find the ideal autoclave, including options and accessories for your application.